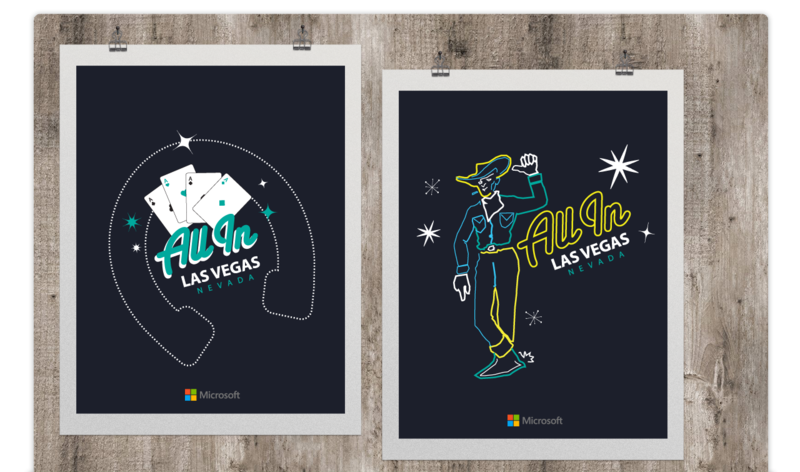 We created several casino themed designs for Microsoft’s “All In” event. The event showcased the amazing team and some products they have. The event was magical in a magical place. The prints were a huge hit with the casino crowds.